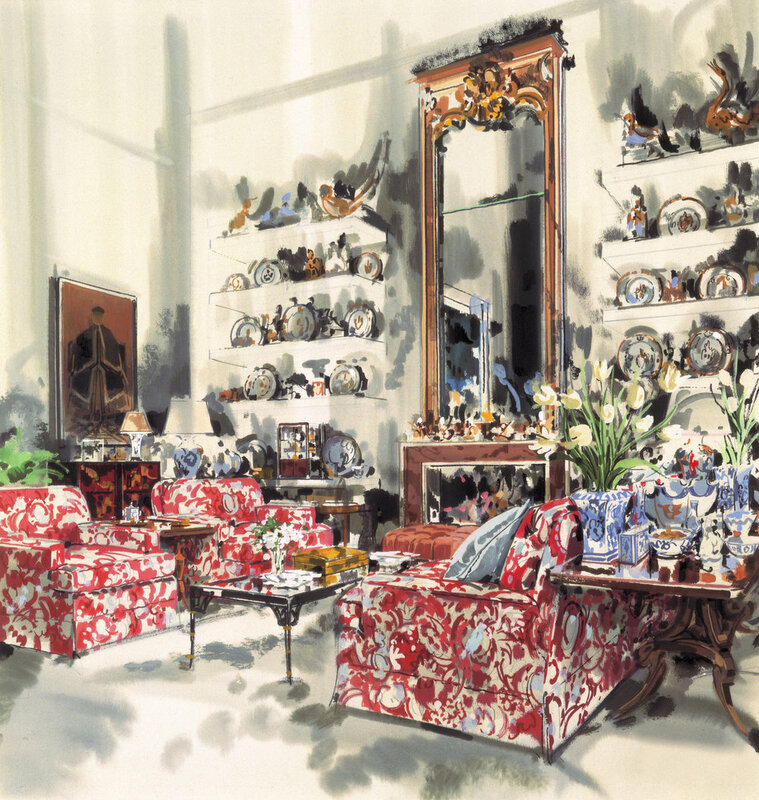 When Jeremiah Goodman passed away at the age of 94 this past September, the illustrator left behind an evocative vision of interior perfection. 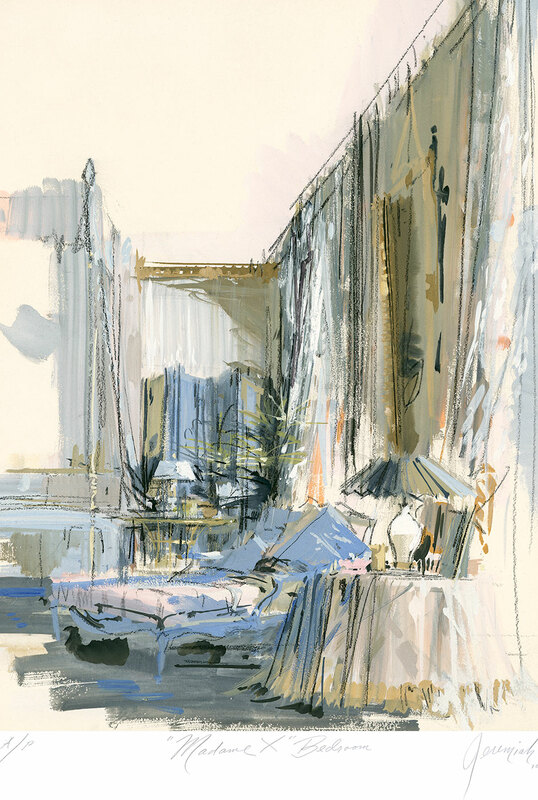 The elegant and regal ambiance of his grand-scale images aided Goodman in becoming the illustrator of choice for a clientele of international socialites and artists—documenting their homes in sweeping and colorful brushstrokes. Born in New York state to Russian émigré parents in 1922, Goodman was given a set of crayons while convalescing from an injury to his right hand at age four—he taught himself to become left-handed and learned to draw. 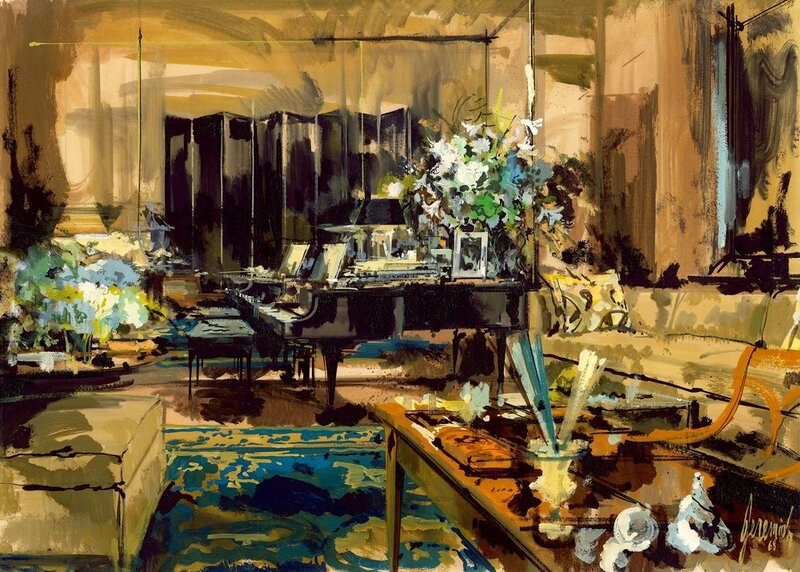 In 1940 he moved to New York City from Buffalo to study at the Franklin School of Professional Art on a full scholarship with the dream of becoming a movie set designer. He then he studied commercial illustration and interior design part-time at as the New York School of Fine and Applied Arts (later Parsons School of Design). 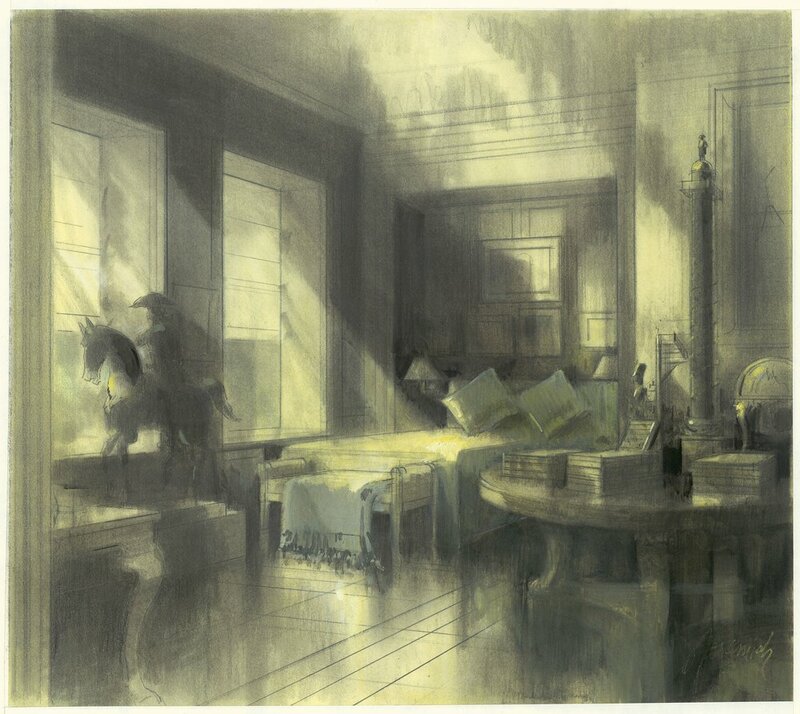 While in school he worked as an assistant window display designer before moving to Los Angeles in 1945 to be an illustrator/sketch artist for Joseph B. Platt, the renowned set designer of such films as Gone with the Wind. Disliking Hollywood and finding his talents underutilized, Goodman returned to New York. 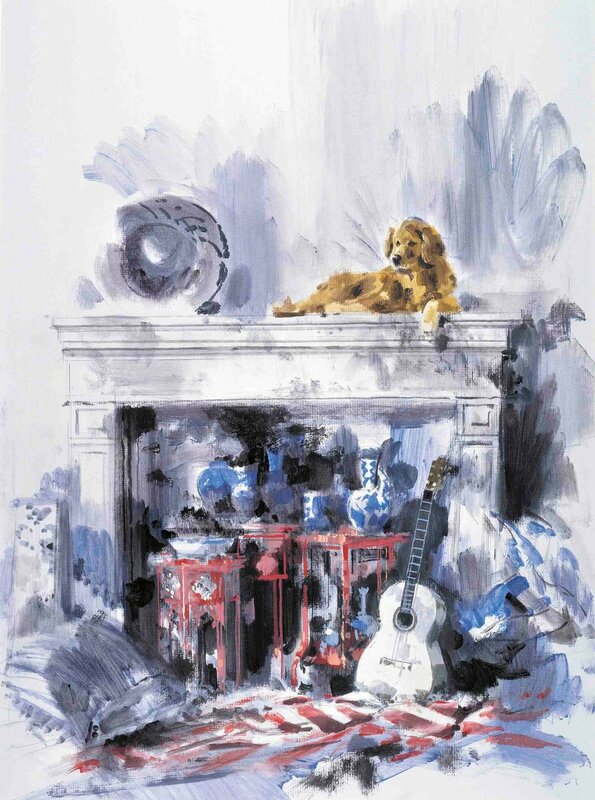 In 1949 he travelled around Europe with his good friend, John Gielgud—the actor encouraged him to paint room portraits, which would become the defining artistic method of his career. At the same time other friends began introducing him to high society, both in Europe and the United States. 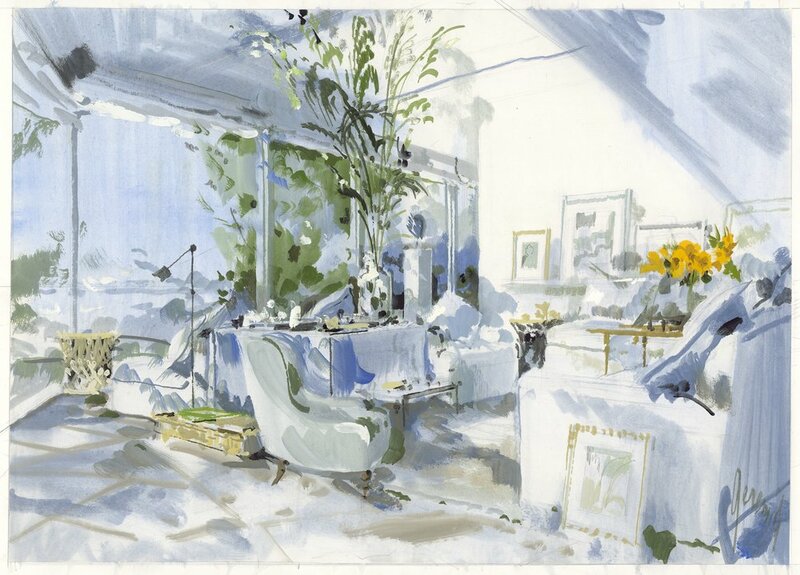 Coming to prominence as a leading illustrator of interiors for advertising (he did the Lord & Taylor’s ads from 1952 to 1985) and magazines (from 1949 to 1964 he illustrated the covers of Interior Design), Goodman parlayed his characteristic style into a career producing renderings for interior designers. 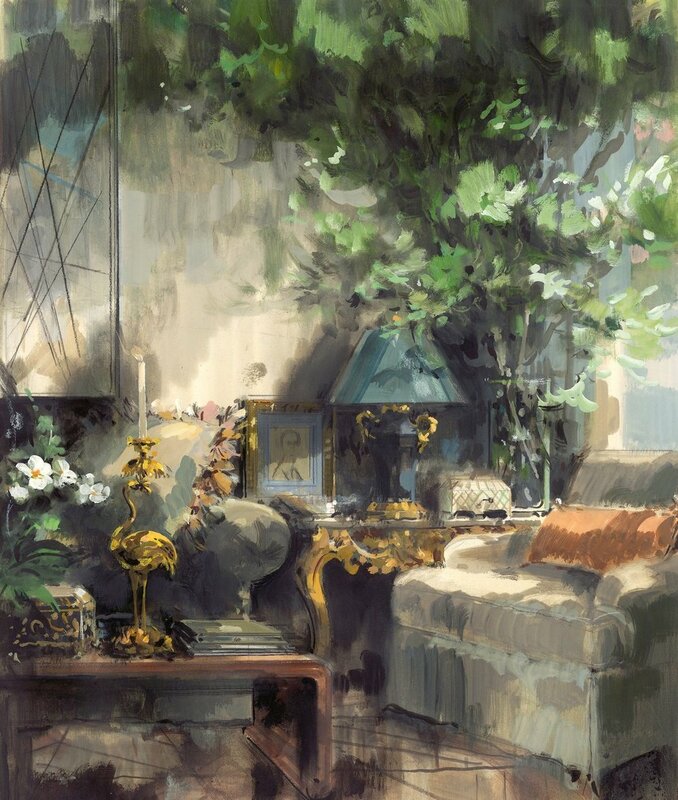 In the mid-1970s he found that a number of the designers’ clients had requested to purchase these paintings to hang in their homes and so he began accepting commissions for these interior portraits. 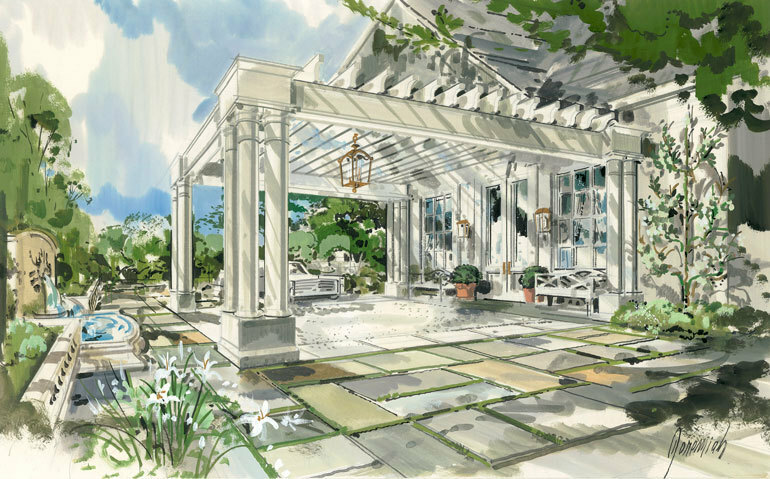 Goodman billed himself as a “creative interior illustrator” and in 1981 charged his clients up to $3,000 for a rendering. 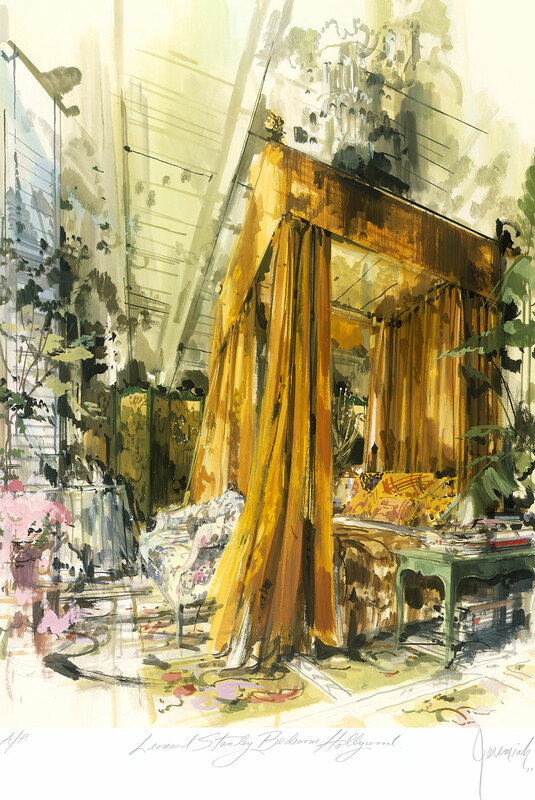 In an interview that year Goodman remarked, “A painting, a drawing, a watercolor is a way to keep an interior forever, and interiors in a society that moves as much as we Americans do are pretty ephemeral.” In the United States he illustrated the homes of such luminaries as Diana Vreeland, Edith Head and President Reagan; in Europe, Cecil Beaton, Duchess of Windsor and David Hicks were among the many high society homeowners who were attracted to Goodman’s impressionistic style. Building upon the room in front of him, Goodman chose to glorify rather than render exact reality; “I took tremendous artistic license in a lot of those drawings. It was the way the clients wanted the rooms to look.” He added an oomph to their homes (and to the renderings of interior designers’ ideas), making them look more striking and more atmospheric than they were in real life—bringing the fantasy of a film set into a real life home. The duchess of windsor's bedroom in moulin, france. 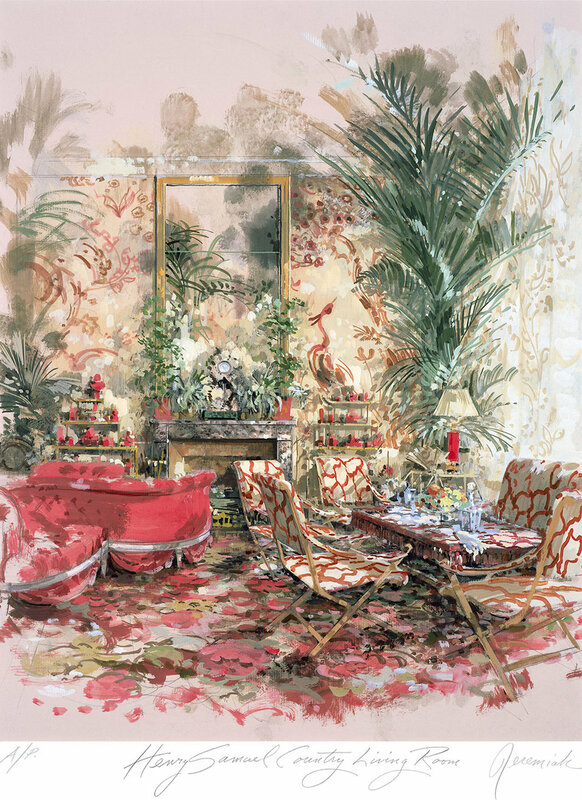 The New York Herald Tribune wrote that Goodman believed “the artist today should be a Renaissance-type man who applies his talents in many fields.” Goodman turned his artistic eye to designing interiors for others and of himself, fabric designs, home accessories, lamps and to a line of men’s clothes. In 1957 he bought a 1917 carriage house in East Hampton, which he renovated and decorated in his own eclectically artistic aesthetic—it was featured often in the design press as was his NYC studio, which was included in Architectural Digest twice. Though slowed down by illness in his last years, Goodman continued to paint every day, leaning on a strict work ethic he said he learned from growing up during the Great Depression. 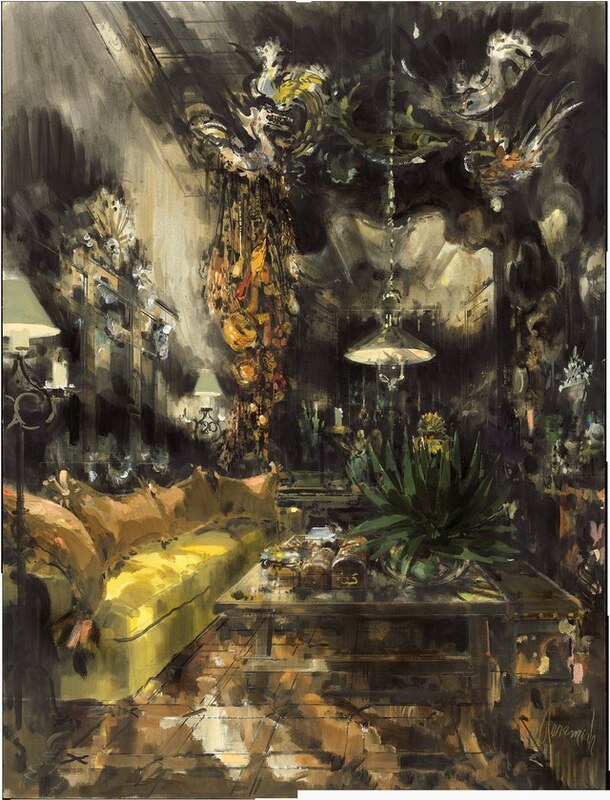 For Jeremiah Goodman, the underlying theme of all of his work was “saudade”, a Portuguese word for a sense of longing—“I want to make people dizzy with it”—a personal passion of his also foregrounded in the restrictions of his childhood, but one that he molded to create an extraordinary career of beauty and luxury. 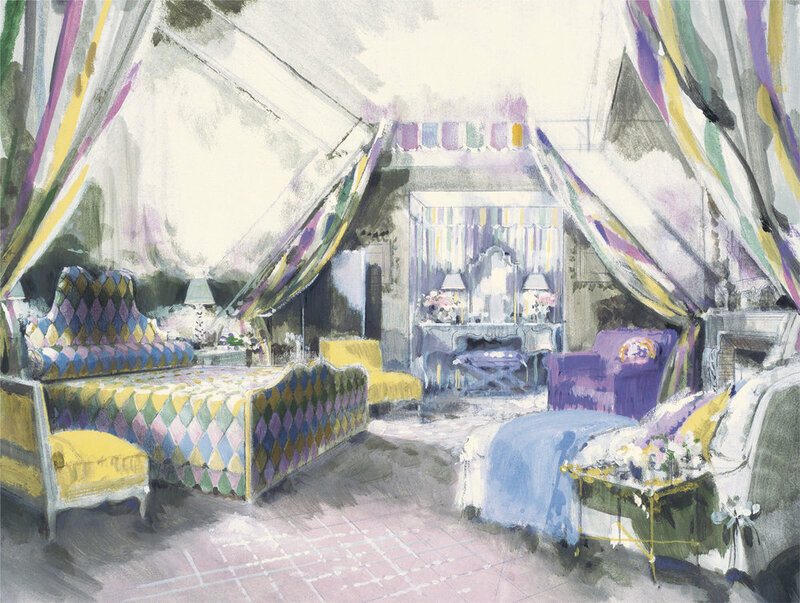 A Mario Buatta designed bedroom.